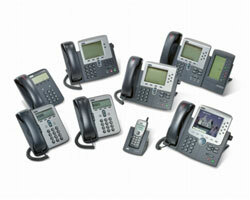 This is the place to SOURCE or SELL used communications equipment! We have 17 years of experience remarketing all kinds of used/refurbished/overstock telco, business phone/pbx, central office, wireless and broadband equipment. We remarket most of the major manufacturers including: 3com, Aastra, Actelis, Aculab, ADC, Adtran, Afc, Agilent, Alcatel, Argus, Artel, AudioCodes, Avaya, Brocade, Brooktrout, Calix, Cantata, Carrier Access, Ciena, Cisco, CORIANT, Cyan, Datamax, Dell, Dialogic, Dragonwave, Emerson, Ericsson, ESI, Excel, F5, Force10 Networks, Foundry, Fujitsu, Genband, Hewlett-Packard HP, Hitachi, Huawei, IBM, Infinera, Intel, Intermec, Juniper, Keysight, Lorain, Lucent, Marconi, Motorola, NCR, NEC, NMS, Nokia, Nortel, OCCAM, Optelian, Overture, Pairgain, Paradyne, Peco II, Plantronics, Polycom, Powerwave, Proxim, Quintum, Redback, Rohde & Schwarz, SANGOMA, Siemens, SpectraWave, Sun, Symbol, Tekelec, Tektronix, Telco, Telect, Tellabs, Tyco, Westell, Zhone Technologies, Inc, ... and many others. We are reliable source for inexpensive, quality refurbished product and can work with you to find a home for your excess hardware.